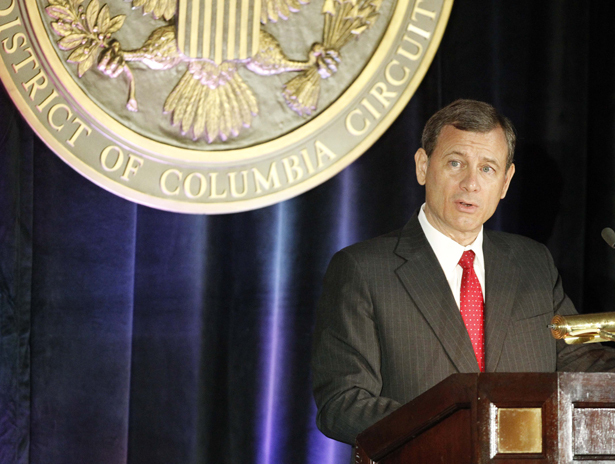 Justices Roberts and Scalia believe the Court should defer to Congress on DOMA but not the VRA. Yet that reasoning didn’t stop Justices Roberts and Scalia from striking down the centerpiece of the Voting Rights Act yesterday, a hugely important civil rights law that has been passed by Congress five times with overwhelming bipartisan approval. Why didn’t the court defer to Congress on the VRA, which has a far more robust Congressional history/mandate than DOMA? And how did Roberts and Scalia reach such contradictory conclusions in the different cases? The Court strikes down a core provision of the Voting Rights Act as unconstitutional without ever explaining what provision of the Constitution commands this result. Chief Justice Roberts’ opinion for the conservative majority argued that the Voting Rights Act provision was inconsistent with the ‘letter and spirit of the Constitution,’ but he never really explained why. His majority opinion emphasized that the Voting Rights Act diminished the sovereignty of states, ignoring that Fifteenth Amendment expressly gives to Congress broad power to prevent all forms of racial discrimination in voting by the states. As Justice Ginsburg’s powerful dissent demonstrates, the Court’s opinion cannot be squared with the text, history, and meaning of the Fifteenth Amendment. Apparently the first amendment and the 14th amendment are meant to protect corporations and states but not the folks for whom it was designed. This is an activist court that decreed the coverage formula was outdated even though Congress held numerous hearings and found evidence that proved otherwise. So much for the conservative principle of judicial deference…This is an ideological, ahistorical decision. Justice Roberts has been opposed to the VRA for three decades, ever since he was a young lawyer in the Reagan Justice Department. His sweeping and radical decision yesterday was more about ideology than the law, constitutional principles or congressional deference be damned. Can Congress fix what the Supreme Court wrecked?